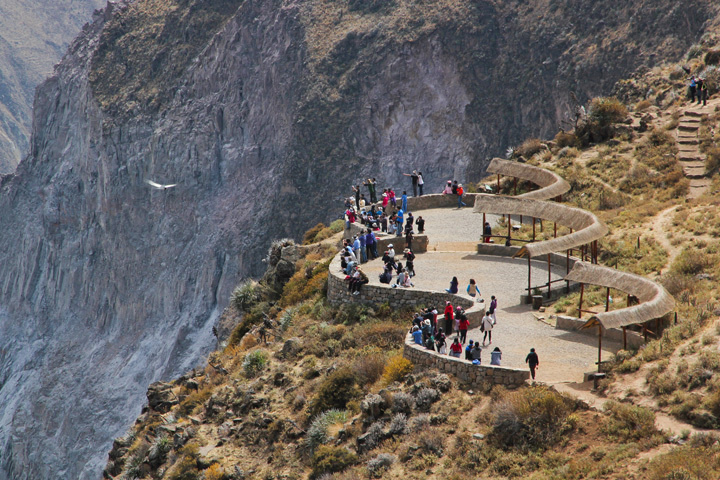 Visiting Colca Canyon is much more than just admiring one of the deepest canyons in the world, it is also the home of the famous Condor, the biggest prey bird in the world and a place where you can find several nice indigenous Peruvians touristic towns. On the way to Colca Canyon you will also be sleeping in one of the native towns of Yanque or Chivay, which have both turned very touristic over the last couple of years. 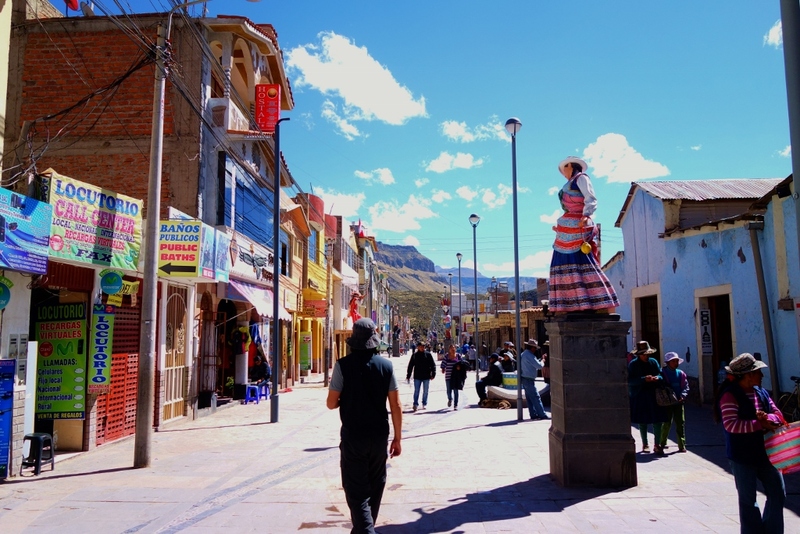 These two towns are really neat and cozy, because of its quietness and its tourism, which is not as big as Cusco or Machu Picchu, but still very nice. You can easily take a quiet walk through the streets without been met by sellers or street food sellers. Especially the views are amazing, with huge mountain surrounding the area. Also really nice natural thermal hot springs are available after a long day of travelling from Arequipa to Colca Canyon in Chivay. If you would like to visit Colca Canyon and stay in a luxury hotel out of these two towns, the hotels of Colca Lodge and Aranwa Colca are both great options and have their own environment. 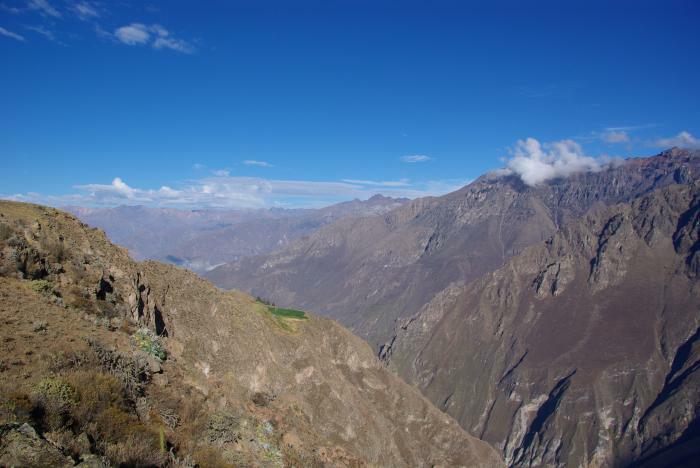 The road to Colca Canyon is also really spectacular as you can admire that the farmers of the area have kept the tradition of having pre-Inca terraces in their land. Some places are even full of these terraces stretching many kilometers through the landscape. This is really some of the most spectacular places in whole Perú when it comes to Inca terraces. I have travelled all over Perú, I have lived here for 3 years and I have seen so many different places and these terraces and landscapes are even more spectacular then the ones you will find in the Sacred Valley in Cusco. Arriving at the Canyon you will get the opportunity to either hike for 30 minutes along the canyon to the view point or go by car; and off course the hike is the best thing to do in order to get the best experience there as possible. Off course, if one has problems walking or is sick the car-option is available. Walking along the canyon gives great views of the whole scenery and the surrounding nature and if you are lucky you will also experience the Condor. I saw 3 Condors flying for 15 minutes above our head, but our guide told us that there have been around 10 Condors the last days flying around the tourists, so there should be plenty of opportunities of experiencing this magnificent bird. 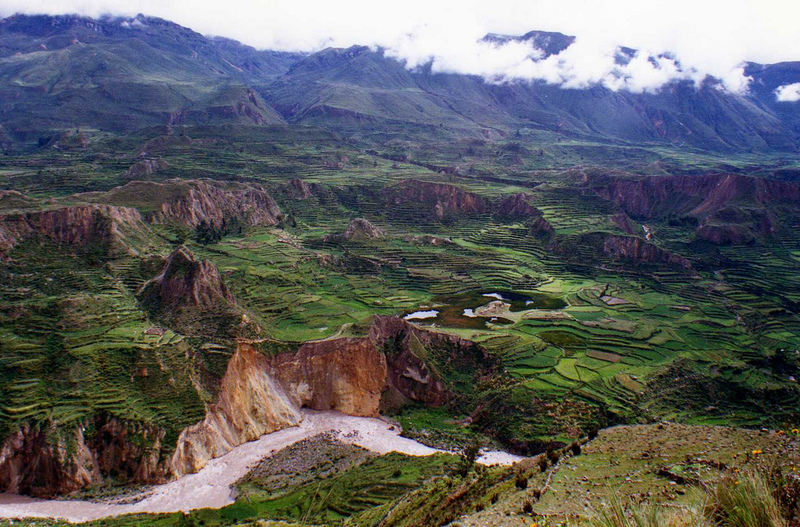 In conclusion, visiting Colca Canyon is simply a fantastic destination, due to its nature, the spectacular terraces, the neat indigenous towns and off course the Colca Canyon, one of the deepest and biggest canyons in the world and the Condors. I will also recommend to walk around the nature of Chicay or yanque once you are there which is very, very beautiful as the huge mountain are located closely around you and small pre-Inca archaeological sites are also hidden in the surrounding areas.